MERCER7 was born because I wanted to curate collections around the capsule wardrobe concept ensuring my selections would be focused, and consistent with a single aesthetic, creating shopping edits that would be simple enough for busy women. But in 2018 the desire for simplicity should be about more than just time management. I wanted to create a lifestyle concept with a purpose: SUSTAINABILITY THROUGH TIMELESSNESS, because I believe that our everyday can be lived in more sustainable way by being more mindful, consuming less by choosing better. To me, featuring #OOTD every day was/is simply unrealistic, it is always about how to style and maximise each piece of clothing you own and making the most out of your wardrobe. I’ve always felt that perhaps I’m being ‘the boring one’ by featuring the same/similar outfits and edits with you time and time again, but now, more than ever, I feel like the message is finally getting across, thanks to Fashion Revolution Movement, articles on ethical brands and informative TV programs, latest being ‘STACEY DOOLEY INVESTIGATES‘ – which is eye opening, especially the episode about fast fashion called ‘FASHION’S DIRTY SECRETS’. 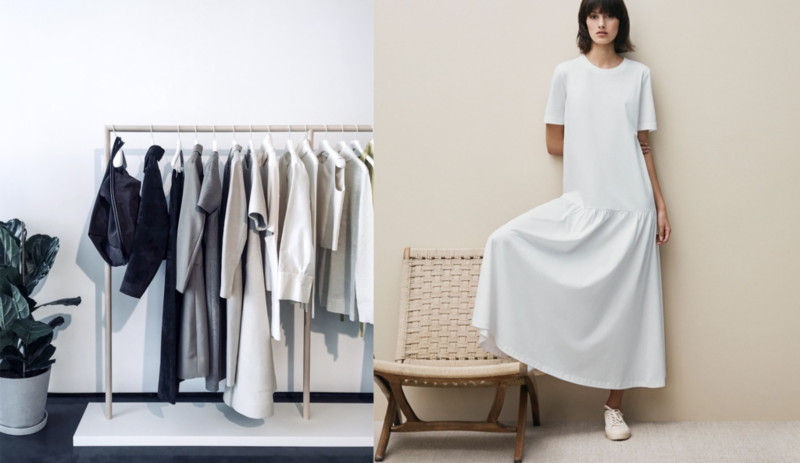 Sustainable fashion and how to stay stylish whilst having a minimal impact on the environment should be on all our minds in 2018. The trend for throwaway fast-fashion is quickly beginning to look ethically dated and is also more expensive in the long run. 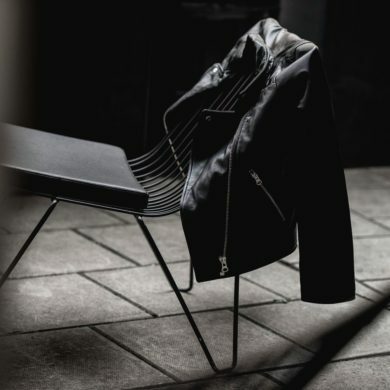 Lucky for us there is one fashion concept that is easy to achieve, ticks the environmentally friendly box, saves money in the long run, without compromising on quality, and is great for the busy modern women. All hail the classic capsule wardrobe. Whilst not a new concept, the capsule wardrobe regained popularity in the 1980’s when American designer Donna Karen released her seven piece collection, with each item seamlessly working together to create multiple styles from minimal items. The capsule wardrobe not only makes choosing your daily outfit simpler, it also gives you an excuse to buy the high quality, long-lasting, designer or mid-range items you have always coveted, whilst helping you to hone your personal style. What should your capsule wardrobe look like? A capsule Wardrobe consists of a few essential items of clothing that don’t go out of fashion and are interchangeable in order to maximise the number of outfits you can create, which is why it is best to create your capsule wardrobe from a predominantly monochrome palette. It is essentially a uniform of items that can be worn together in many different ways, or alongside more seasonal pieces, so you want to make sure the items that make up your capsule wardrobe will compliment not only each other, but the fashion trends you don’t yet know about. Whilst monochrome and timeless styles may strike some of you as too safe or boring, a capsule wardrobe is ultimately what you make of it. It is entirely possible to create outfits from a rota of the same items without anyone knowing you are wearing a base uniform because having fewer items can actually make you even more creative. Getting the base right is the key, which is why it is important it is made up of classic styles such as blazers, great denim, simple tops, iconic Bretons and layering basics. It is also really important to consider the fabrics you want to target. If like me, you don’t want to be tied to an ironing board then stay well away from linen. I tend to target clothes made from lyocell, good crepe, wool blends, knits, denim, leather and fabrics that are more durable and easy to travel with. I iron only if it is absolutely necessary and let’s face it if you are rotating fewer items of clothing that means you could end up ironing more frequently unless you choose your fabrics wisely. Our clothes suffer when they don’t have room to hang properly and clutter can also be a contributing factor to poor mental health, so taking the time to edit your wardrobe periodically can be beneficial in unexpected ways. But don’t worry, we’re not asking you to reduce your wardrobe to seven items! A capsule wardrobe is about making sure every item in your wardrobe fulfils multiple roles, so that you can have a smaller but harder working wardrobe. 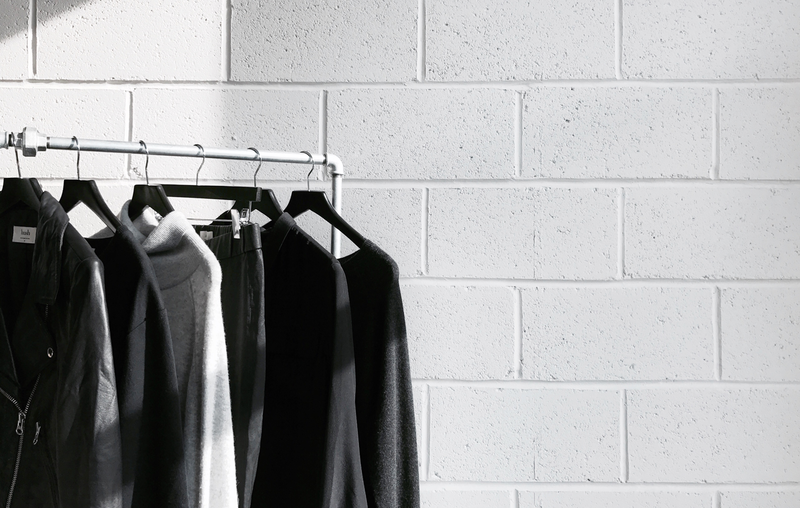 A wardrobe detox also gives us a chance to rethink which brands we want to support. Why not take the time to find out which of your favourite high street, or mid-range and designer brands already follow ethical and sustainable practises and aim to support those as you build your capsule wardrobe? You can afford to be picky and to spend a bit more when you will be buying fewer items, less frequently. Take a look at some of my favourite brands like Filippa K, Antibad store that offers a fantastic range of ethical (including vegan and recycled) brands, Veja, Stella McCartney, Arket, Gabriela Hearst, People Tree, Maiyet / The Maiyet Collective; a pop-up bringing together a collection of the most exciting positive impact brands, Anine Bing is also consistent with offering capsule wardrobe collections, The Collaborative Store, and so many more that I will be sure to introduce you to. Finally, don’t forget that a good wardrobe clear out can benefit your local community if you donate unwanted items in good condition to your local charity shops. Fewer items but multiple outfits – can it be styled in multiple ways? All that’s left to do now is to decide what to do with the time you save in the morning when you can pick your outfits at a glance. Enjoy! If you are someone who is passionate about slow fashion, timeless aesthetic, ethical brands or have your own capsule collection, I would love to see it, simply use MERCER7’s hashtag #SUSTAINABILITYTHROUGHTIMELESSNESS and I will make sure to find you. You can also take a look at MERCER7 Capsule wardrobe edit which I update every season.